Children learn the Bible stories of God's love for us in engaging ways in Sunday school. Our children focus on one major Bible story or character for several weeks, exploring it through drama, art, traditional age-appropriate Bible study, video, and cooking. 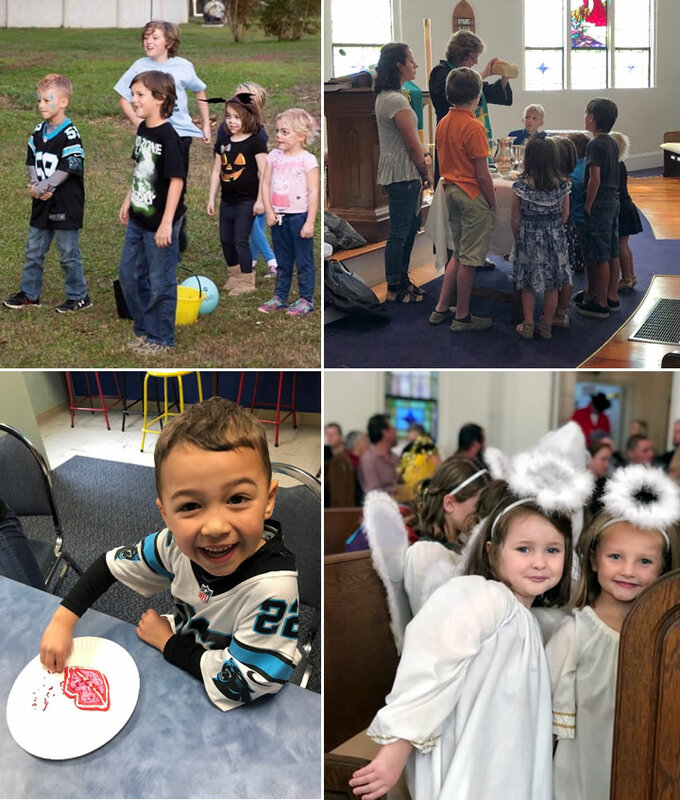 Worship Preparation and Bible skills classes are held periodically for children and their families and we have a fabulous Vacation Bible School each summer. Children are invited to assist in the leadership of worship often.